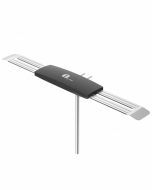 New Concept Design Antenna - Modern with a compact size to reduce wind load and provide much better signal reliability on windy or rainy days. Anti-UV coating and waterproofing/snowproofing provide shielding for minimum interference. Reflection Net Design to Enhanced VHF/UHF Reception - Enhanced receiving performance and stronger signal reception with less signal loss by Reflection Net. 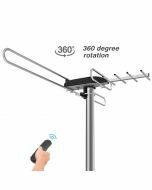 Easy tools-free installation - This modern antenna is so much easier to install than big traditional antennas using the included accessories. Never Pay Expensive Cable or Satellite Fees Again - Pull in all of your local news, sitcom, kids and sports programs in full HD to any digital-ready TV. VHF/UHF/FM: VHF 87.5-230MHz; UHF 470-700MHz. Longer Cable for Convenient Setup - Included 26ft high performance coaxial cable makes it easy to place the amplified antenna in high-reception areas. 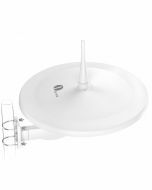 Our amplified Antenna combines a sleek design with excellent receiving ability. 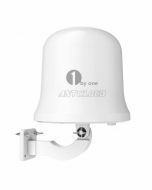 With waterproofing and snowproofing as well as Anti-UV coating, its receiving ability is much improved over traditional antennas. 1. Reflection Net Design to Enhanced VHF/UHF Reception. 2. 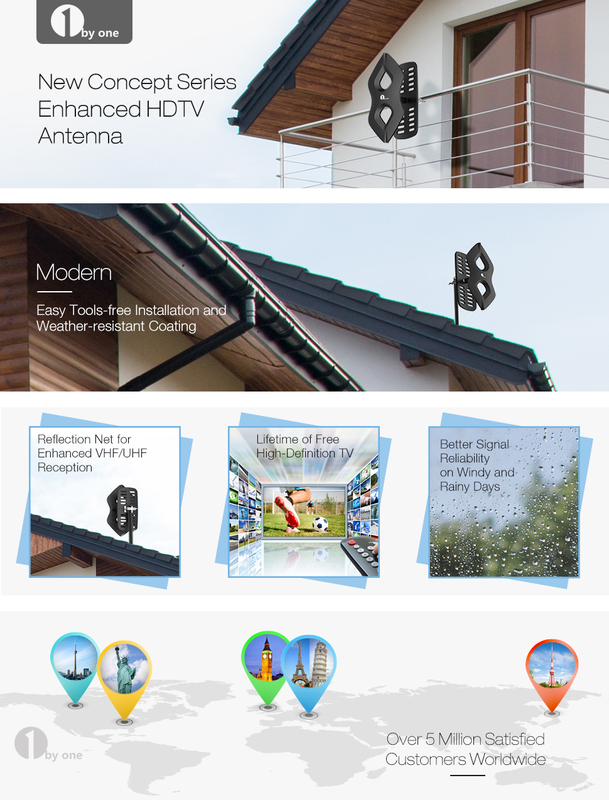 Comes pre-assembled for easy installation, and saves money on instillation fees compared with big traditional antennas. 3. Built-in Low Noise Amplifier to enable stronger signal reception with less signal loss. 4. Built-in 4G LTE Filter to remove interference and signal loss caused by 4G mobile phones. 5. Various mounting location options including balcony, attic, window with mast, roof, etc. The distance to your local broadcast towers will vary based on the location of your home. Visit "dtv.gov/maps" or "tvfool" and enter your address or zip code for details about the towers near you. This information will assist in selecting the correct antenna model and aiming your antenna for best results. 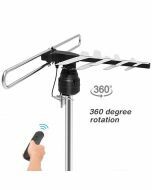 Antenna with Built-in Amplifer, Reflection Net, J-Pole and Mast Clamp Accessories, 26ft Coaxial Cable, Power Supply Box, Power Adapter 12V 200mA, Instruction Manual, 30-day full refund, and 12-month replacement option with friendly customer service. 5.If your TV has no built-in tuner, you can add an ATSC digital converter box to receive the HD signal. Search B01N5MLC1M on Amazon for the 1byone Converter Box. How does the button mount on the outside door? No, this antenna is directional. To get good reception, we kindly suggest you check https://www.tvfool.com/ and enter your area code to get the precise direction of the nearest tower so you can place the antenna towards it.